Our fresh ground turkey breast is a lean protein that can be used for just about anything: Turkey meatballs, turkey tacos, turkey burgers, and turkey chili are just a few of the ways our customers have making use of this versatile ingredient. 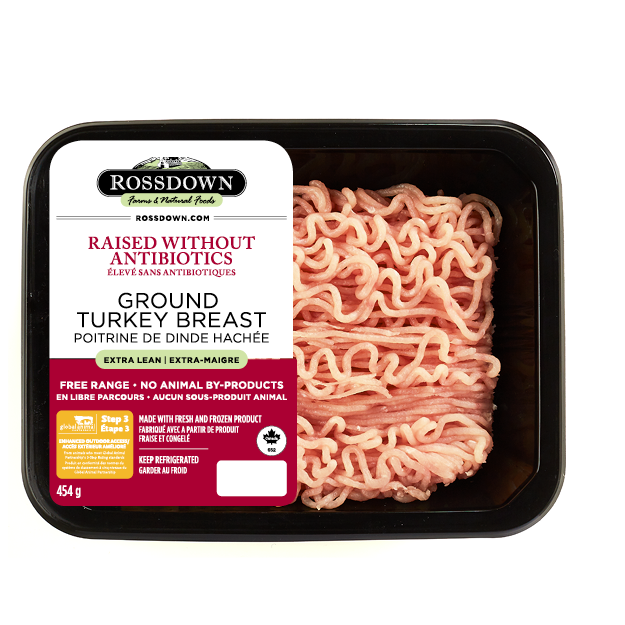 Raised in the British Columbia’s Similkameen Valley, our Raised Without Antibiotics Turkeys are free-range and fed an all-vegetarian diet that contains no animal by-products. 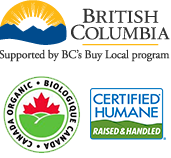 We’re proud to have our Raised Without Antibiotics Turkeys be Certified Humane and certified step three by Global Animal Partnership.